Do Not Mock the Mockingbird! For almost ten minutes, this Mockingbird was observing me as I photographed it. It occasionally reacted to the shutter sound of my camera. It then followed me down the trail for some distance. 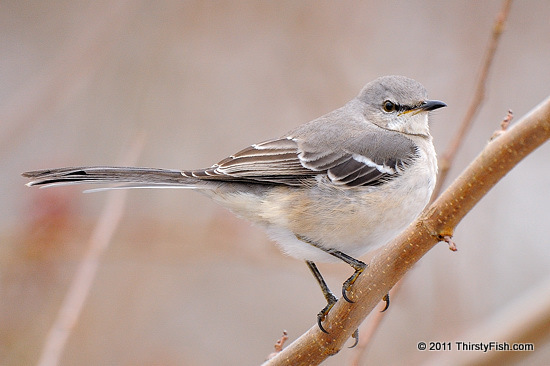 I recently read an interesting article titled "Mockingbirds Know Who You Are" on Discover Magazine. It turns out that they can pick out an intruder from a crowd, and defend themselves against only the intruder while leaving the nonthreatening people alone. I'm happy that I was vetted as a friend.